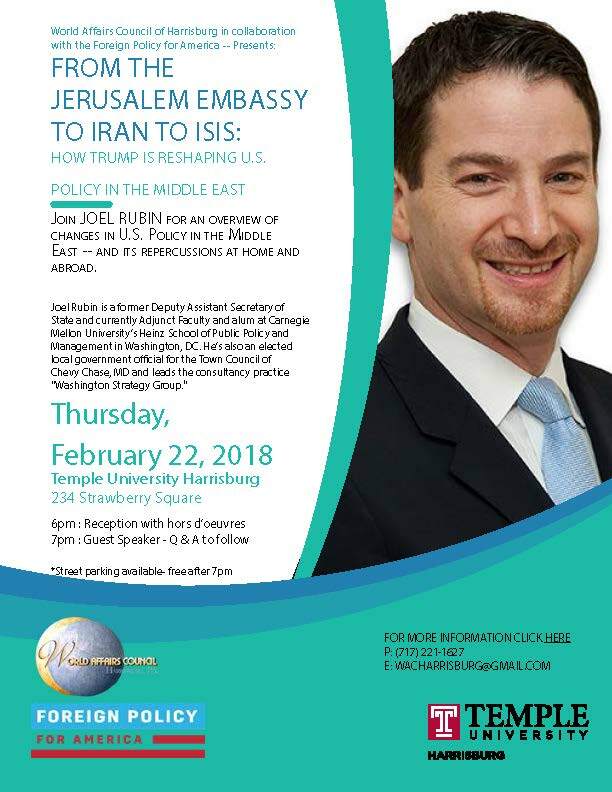 Browse: Home / 2018 / January / 28 / Former State Department Official Joel Rubin at Temple University Harrisburg Feb. 22 for Middle East Forum! Former State Department Official Joel Rubin at Temple University Harrisburg Feb. 22 for Middle East Forum! 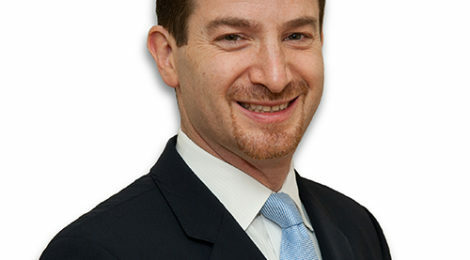 Joel Rubin is a former Deputy Assistant Secretary of State and currently Adjunct Faculty at Carnegie Mellon University’s Heinz School of Public Policy and Management in Washington, DC. He’s also an elected local government official for the Town Council of Chevy Chase, MD and leads the consultancy practice “Washington Strategy Group”. ← TRAVEL WITH THE WORLD AFFAIRS COUNCIL OF HARRISBURG!